Mixed-Media Depth—with a longer filtration time, these filters eliminate more solids from water. Granular-Activated—while removing chlorine and organic materials from your water, the Cullar activated carbon in these filters stands up to the abrasioncommon in this kind of filter. Cullsorb—two-layer filtration give these filters optimum efficiency. A top layer of anthracite takes care of minerals, a second bed of manganese greensand removes smaller particles and chemicals. Please contact us so that we may help you determine the type of filtering system that may be best suited to your needs. For a more complete list of our available filtering systems, see other products. You can get delicious water for an economical price with the Culligan’s Drinking Water Filter Systems. Using state-of-the-art, two-step activated carbon filtration, this filter removes chlorine taste and smell (and other objectionable tastes and odors) from your drinking water. It also removes particles as small as 5 microns which can cloud water. The result is better tasting, clear water for drinking, cooking and making coffee, tea and juices. Compact and easy to install, the filter fits conveniently under your kitchen sink. For added convenience, filter cartridges are easily replaced in just minutes. We also have countertop drinking water filters, faucet filters and single tap filters for your drinking water needs. The ultimate drinking filter is the reverse osmosis system. 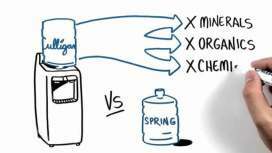 With a Culligan whole house water filter, you can be sure you’re getting one of the most dependable, convenient, advanced filters on the market today. These will fit in any home or business, whether you’re on a private well or a public water system. Filters are tough on iron water and prevents rust stains on your clothes, fixtures, and dishes. They stop that “rotten egg” odor from hydrogen sulfide. Hydrogen sulfide leaves black stains on your laundry and bathroom fixtures. Even worse, it can cause serious damage to your pipes, leading to costly plumbing repairs. We also have sediment water filters. We have a wide range of filters that we use in homes and commercial settings, depending upon the water problems we find. Please call or write to us so that we may help you decide the type of filtering system that may be best suited to your needs.